The Scholastic Book Fair is coming to Leland! Visit the Library April 12th - 18th to do some literary shopping! YALSA YALSA is the Young Adult part of the American Library Association. Check here for reding lists including great graphic novels, amazing audiobooks, best books for young adults, award winning books and more. Fantastic Fiction Fantastic Fiction has bibliographies for over 25,00 authors and information on over 300,000 books. This is a great place to check on series! Reading Rants Reading ants Featuring out of the ordinary booklists for teens it has become a popular book review source for teenagers as well as their grown-ups. Guys Read Guys Read- a web-based literacy program for boys. Our mission is to help boys become self-motivated, lifelong readers. Boy Meets Book Boy Meets Book Michael Sullivan site boasts a number f age-appropriate book lists for boys including middle and high school. 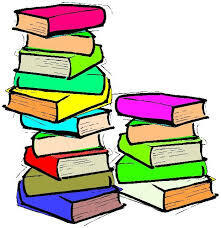 The lists are then separated by genre- mystery, fantasy, historical etc. The Book Seer The Book Seer is a website where you can enter the book and author you've just read and it will search Amazon and LibraryThing for a new suggestion for you to read next. Teen Reads Teen Reads is a place for teens to get information on their favorite authors, books, charaters and series. Guys Lit Wire Guys Lit Wire - a blog to help you find the reading material YOU want. GET AD-UCATED TODAY @ admongo.gov! As a non-partisan, not-for-profit organization, Common Sense Media provides trustworthy information and tools, as well as an independent forum, so that families can have a choice and a voice about the media they consume. Cyberbullying Resource Center - The Cyberbullying Research Center is dedicated to providing up-to-date information about the nature, extent, causes, and consequences of cyberbullying among adolescents. ikeepsafe.org - Their mission statement is: To give parents, educators, and policymakers the information and tools which empower them to teach children the safe and healthy use of technology and the Internet. NetSmart Teens - NetSmart Teens offers videos to help educate teens about the dangers of online gaming, social networking and cyberbullying. The site offers a link for Spanish speakers. 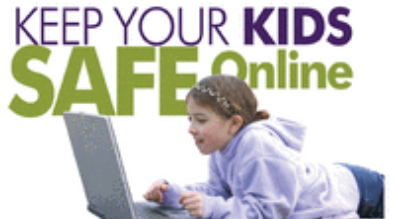 SafeKids.com - This site offers everything from safety on the Internet, to cell phone and texting and cyber-bullying for children, teens and parents. Teens Health - This site provides safe surfing tips for teens and information about a variety of healthy lifestyle choices. Thatsnotcool.com - Advise for teen on test harassment, pic pressure and constant messaging. Kids talk about pressure and disrespect using today's technologies.